In addition to our team, SLE has an incredible network of hundreds of production experts that it taps whenever needed. This approach is the most efficient way clients can get a team of top talent. Executive Producer Salli Frattini, former SVP/Executive in Charge of Production for Music Specials and Events at MTV, launched Sunset Lane Entertainment (SLE) in 2008 with the production of the first-ever YouTube Live Awards. Frattini took an unmatched track record of producing iconic and groundbreaking live entertainment broadcast events and organically parlayed that into becoming the bridge between traditional broadcast production and digital platforms. SLE is a leader in youth culture-oriented programs, female empowerment and cutting-edge technology. In 2015 the company grew its development slate in collaboration with veteran broadcast network executives Carol Eng and Felycia Sugarman. The portfolio includes exceptional unscripted & scripted series & specials, as well as sports and entertainment live events, Upfronts & New Fronts. As the demand for SLE services evolves, the company’s promise to offer the most seasoned experts has not wavered. To keep up with the client demand, SLE has forged an incredible network of production experts that it taps whenever needed. This approach is the most efficient way clients can get a team of top talent. Along with the evolution of Frattini’s role, which she coined “Executive Producer 2.0,” SLE is becoming the production partner of choice for forward thinking broadcast and cable networks, digital media companies, and other programming. SLE has forged an impressive and enviable track record of producing the network and online broadcast premieres of numerous national, buzz-about events. Recently that has included shows for Discovery Networks, The Deadliest Catch: The Bait Live from The Docks and Gold Rush Live! For BritBox/ITV, The Royal Wedding Breakfast live stream & NY remote. We produced YouTube OnStage Live from the Kennedy Center with John Legend & The YouTube Creator Summit, which brought together 100 of YouTube's top creators. SLE also specializes in music and was tapped by Translation LLC to produce the State Farm's Neighborhood Sessions featuring Jennifer Lopez in the Bronx. 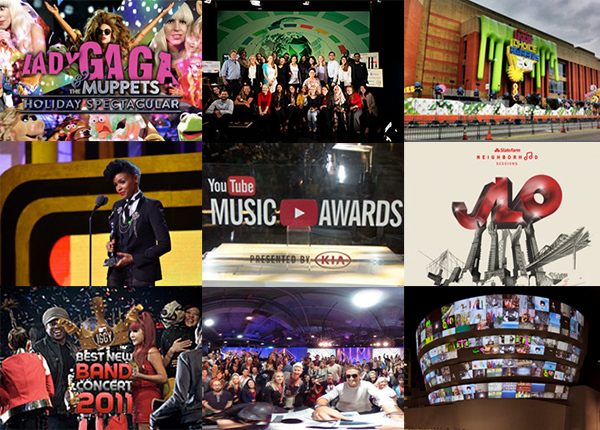 In 2013, we were the first to produce the YouTube Music Awards, Lady Gaga & the Muppets' Holiday Spectacular, and the Radio Disney Music Awards. We like style and lifestyle, producing shows like The 2012 Style Awards for the Style Network, and BET's now annual franchise "Black Girls Rock" Awards Show. Other notable credits include: YouTube Play, a biennial of creative video that showcased the best unknown online video talent in partnership with the Guggenheim Museum, HP and Intel; and The Webby Awards, a 2011 live stream of the leading awards show to honor excellence on the internet. 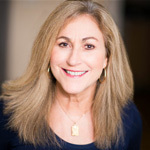 Frattini's career spans three decades of milestones and firsts: At MTV from 1988 – 2007, she oversaw shows such as the MTV Video Music Awards, MTV Movie Awards, the first ever Sports and Music Festival, MTV's Video Gaming Week, as well as network and sponsor partnerships for MTV’s foray into Olympics coverage with NBC. She was the first female to ever executive produce an NFL Super Bowl Halftime Show. As an Executive Producer, Frattini was responsible for many of the channels groundbreaking initiatives. Frattini and SLE support numerous non-profit organizations, including Women in Film and Television, Women in Sports, Playing for Change Foundation, Special Olympics, and Wilton Community Response Team, to name a few. Sunset Lane Entertainment is an environmentally conscious company and is headquartered in New York City. Sunset Lane Entertainment is certified as a Women-owned Business Enterprise by NYC Small Business Services.